Steven Kerstein is a Consultant at Lincoln Churchill Advisors (LCA). where he is responsible for maximizing clients’ understanding of market conditions, identifying how clients are perceived by different stakeholders, and using data analytics and market research to add value to client projects. 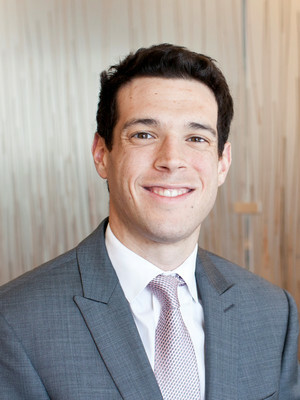 Prior to joining LCA, Mr. Kerstein worked as a Financial & Risk Analyst at Game Sports Network, Inc. where he specialized in financial modeling, data analysis, and streamlining day-to-day operations. He worked on several quantitative research projects, helping the company achieve revenue growth and profitability growth. He also gained experience working with a variety of stakeholder groups, developing creative marketing strategies and monitoring the company’s risk exposure. Mr. Kerstein also worked as a Fund Accountant at Cortland Capital Market Services, serving as a third-party administrator for private equity and real estate funds. He was responsible for calculating IRR, management and incentive fees as well as preparing monthly financial statements and quarterly investor packages. Mr. Kerstein has maintained a strong interest in capital markets throughout his professional career. He recently became a CFA Charter holder in August 2017, a high distinction in the investment management field. The CFA program tests candidates on a wide array of subjects including quantitative methods, economics, financial reporting and analysis, corporate finance, equity investments, fixed-income investments, derivatives, alternative investments, and portfolio/wealth management. Mr. Kerstein obtained a B.S. in Finance and a B.S. in Accountancy from the College of Business at the University of Illinois Champaign-Urbana in 2014. "I never encourage deceit, and falsehood, especially if you have got a bad memory, is the worst enemy a fellow can have. The fact is truth is your truest friend, no matter what the circumstances are." "I have a congenital aversion to failure." "We hope all danger may be overcome; but to conclude that no danger may ever arise would itself be extremely dangerous." "Our government rests in public opinion. Whoever can change public opinion, can change the government."